We may be in a time of wellness fixation, one that can distort our judgement of what is healthy, ineffective, or even harmful. We have learned to conflate challenge and suffering with health and benefit. The anxiety we create from these fixations can take a greater mental and physical toll than the potential benefit we receive. Dr. Margaret McCartney offers a compelling perspective on the “cult of wellness,” its origins, and how we can exercise stronger discernment of what is baseless and anxiety driven and what is truly beneficial to our minds and bodies. “Vast amounts of technology is marketed through the wellness industry, via apps and fitness devices, promoted as a responsible way to “know thyself” better. But, frankly, it makes something which should be fun – good living – into a miserable, competitive, pseudoscientific morass. The well-being industry is a massive business – for we are not allowed to assume that if we feel well, then we are well. Instead we are told we have to have our hands on the vegetable juicer to “detox,” to do exercise classes to achieve not just physical fitness but spiritual nirvana, all while monitoring our every mouthful and emission for signs that we are impure. This industry invites us to be self-absorbed and obsessed – making us unhealthy while promising us better health. As a family doctor with a keen interest in evidence-based practice, I find our obsession with wellness troubling. This vogue has to be set against a cultural landscape where science is seen as a matter of opinion rather than fact and evidence. Social media have allowed a slew of widely followed celebrities to recommend products and supplements despite having little evidence to justify them. There has always been quackery, but vast swaths of the health and fitness sector, especially online, seem to have been colonized by what I term bollocksology. The rise of the internet has allowed amplification of the cool, trendy and aesthetically pleasing, and science – which does not readily use advertising teams or public-relations companies – has struggled to make itself heard. So there is nothing new about the goodness of exercise as medicine – indeed, there is high-quality evidence that it helps prevent and treat many conditions. The wellness crusade, however, invites people to feel constantly anxious about their health, even when feeling entirely well. 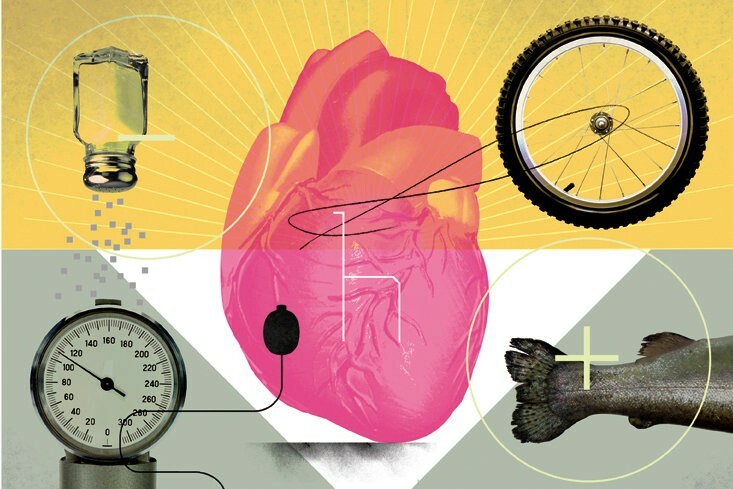 50 years ago medicine dismissed a psychosomatic link between our emotions and physical health as pseudoscience. Now, our thought patterns and emotions are understood to play an overarching role in determining physical wellness and resilience, as described in this recent New York Time article and book by Dr. Sandeep Jauhar. “In ‘Heart: A History,’ Dr. Sandeep Jauhar argues that doctors need to devote more attention to how factors like unhappy relationships and work stress influence heart disease. Studies now show that stress and despair can significantly influence health, especially that of the heart. One of the most striking examples is a condition known as Takotsubo cardiomyopathy, or broken-heart syndrome, in which the death of a spouse, financial worries or some other emotional event severely weakens the heart, causing symptoms that mimic a heart attack. The field of psychologist has be quick to pathologize depression as a chronic mental illness. 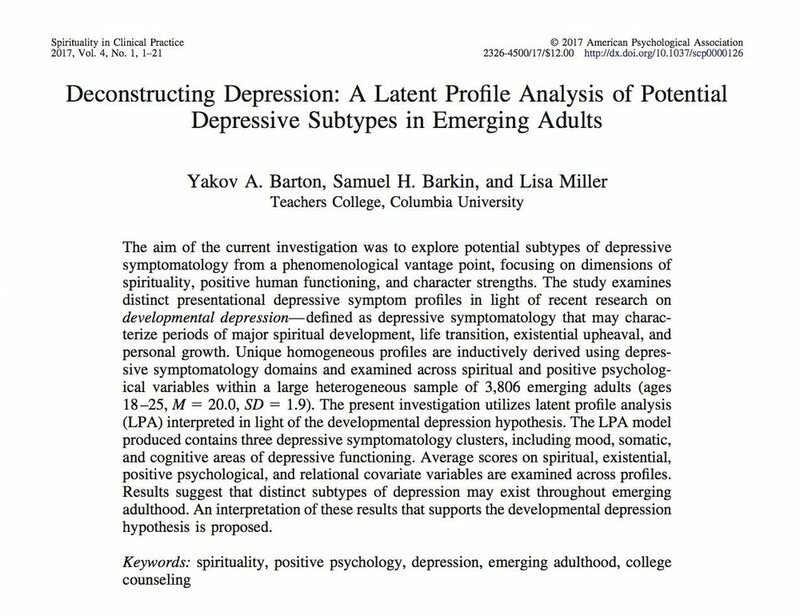 Researchers are now beginning to explore the possibility that depression is often a precursor for growth and transformation, as summarized in this article. “A significant subset of people recover and thrive after depression, yet research on such individuals has been rare,” they write in their recent paper in Perspectives on Psychological Science. They propose a definition for “high functioning after depression” (HFAD); argue that the advice given to people with depression need not be so gloomy; and lay out key areas for future research. Our communication tends to suffer the most when we are emotionally charged and clarity is most important. In these moments, we often speak in long jumbled paragraphs as we struggle to understand what we are feeling and attempting to convey. This article conceptualizes effective communication and details 7 useful tools to strengthen this fundamental component of all relationships. "Unhealthy verbal communication often starts not with words but with negative thoughts or difficult emotions. If you are in a long-term romantic relationship, you have spent so much time with our partner that you feel you know them inside-out. You anticipate how they react in certain situations. You have painted a picture of who they are and you may fail to re-discover them. This often has a negative impact on how we communicate in a romantic relationship. Because relationships are all about cultivating the differences and remaining curious who the other person really is and how they see the world." Excellent piece on the value of positive psychology in strengths-based treatments for addiction. A successful journey out of addiction must go beyond symptom reduction to utilize our unique strengths and insights. Recovery is an opportunity for transformation and rapid growth! "In effective addiction treatment, positive psychological approaches play an important role in achieving long-term addiction recovery goals. Traditionally, addicts are told that they have a disease; that they will have to manage it for the rest of their lives; to expect relapse and that from a statistical perspective, most will die from their illness. This is a tremendously demoralizing prognosis to provide to someone. A positive psychologist would reframe the situation, suggesting that addiction is a behavioral disorder and even the most entrenched behaviors can be changed. While not denying the negative statistics surrounding addiction recovery, a reframing of the opportunity to recover into something attainable is empowering and motivating to many who suffer from substance abuse." Insight into the ways Facebook is systematically designed to promote behavioral addiction, consuming as much of our anxious attention and time as possible. PHUBBING—the act of snubbing the people you are with in favor of being on your phone—unsurprisingly has a negative impact on our relationships, particularly with a primary partner. "There’s an irony in phubbing. When we’re staring at our phones, we’re often connecting with someone on social media or through texting. Sometimes, we’re flipping through our pictures the way we once turned the pages of photo albums, remembering moments with people we love. 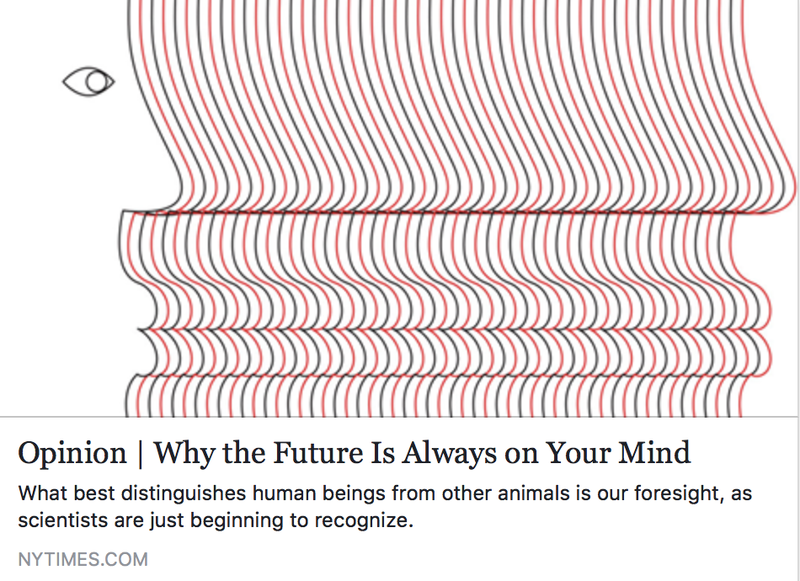 Unfortunately, however, this can severely disrupt our actual, present-moment, in-person relationships, which also tend to be our most important ones." Here’s an interesting summary of research on the effects of phubbing and strategies to counter these addictive patterns. Emotional intelligence is an often overlooked yet invaluable area of personal resilience and development. 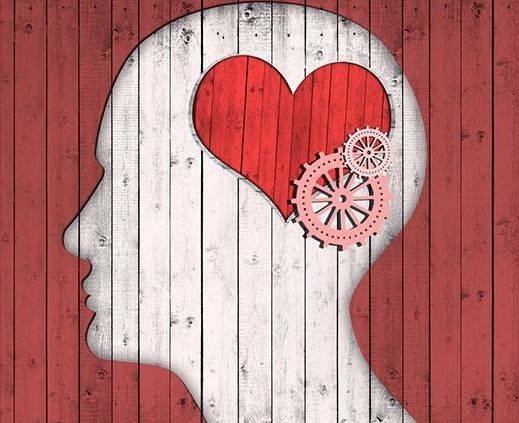 Here's a useful article conceptualizing emotional intelligence and how it can be purposefully cultivated. How do we balance empathic warmth and tough accountability in supporting those we love the most? An interesting look at the challenge of balancing both without falling into the realm of codependency. "Helping a loved one achieve his or her goals can require criticism rather than warmth, harshness rather than comfort. It’s difficult to give complacency-shattering feedback while simultaneously making someone feel valued [and] loved." Compelling evidence that depression can spur invaluable grappling, self insight, and life-changing transformation! "If depression is a strategic response that we are programmed to carry out, consciously or unconsciously, does it make sense to try to suppress its symptoms through, say, the use of antidepressants? Hagen describes antidepressants as painkillers, arguing that it would be unethical for a doctor to treat a broken ankle with Percocet and no cast. You need to fix the underlying problem. He regrets the fact that the DSM, psychiatry’s diagnostic manual, has removed from major depressive disorder’s diagnostic criteria any exception for life circumstance, even bereavement. This is part of an effort to make diagnosis more objective and scientific, and encourage the profession to focus on observable symptoms rather than causes." Sleep... the #1 most important ingredient for mental health. Learn how sleep hygiene can transform the quality of your sleeping & waking life. We play an active role in choosing whether to harness or be hindered by our anxiety. This research suggests that we can cultivate the ability to utilize our stress to enhance our performance. "Anxiety is a normal, healthy emotion. It’s meant to alert you to danger. When you encounter a dangerous situation, your fight or flight response is activated. That surge of energy encourages you take action that will keep you alive. But most people experience anxiety in situations that aren't actually life threatening. Going to a job interview, speaking up for yourself, or giving a speech probably won’t kill you. But when you’re in those situations, your body may react as though you’re dangling from the edge of a cliff with one arm. Historically, anxiety has often been viewed as the enemy. ...But new research suggests that anxiety doesn't always have to impair performance. In fact, it may enhance it." 'Deconstructing Depression'... an article that evolved from my 5-year dissertation study is now published- looking at unique subtypes of depression, some of which may be strength-based, and suggesting that depression can both debilitate us or prompt life-changing growth and insight. Have we made a longstanding mistake pathologizing all depression?